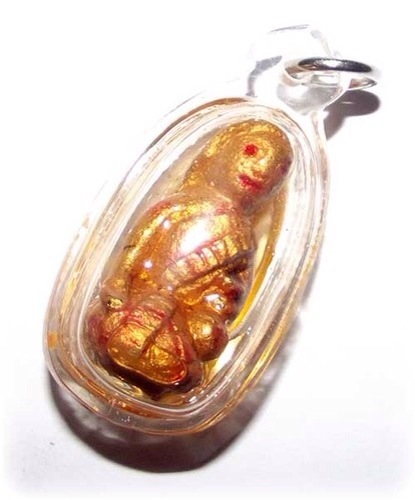 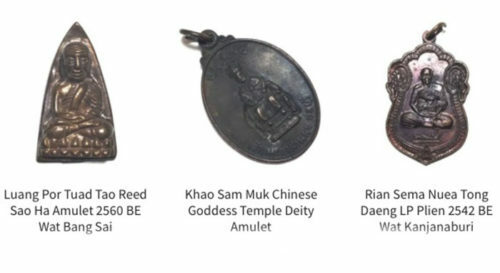 Thai amulets have a myriad of aspects and meanings, and an equally large number of reasons for existence, be they Buddhist Amulets, Animist Amulets, Occult Necromantic Charms, Black or White Magick, or Elemental in Nature. 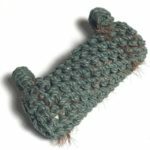 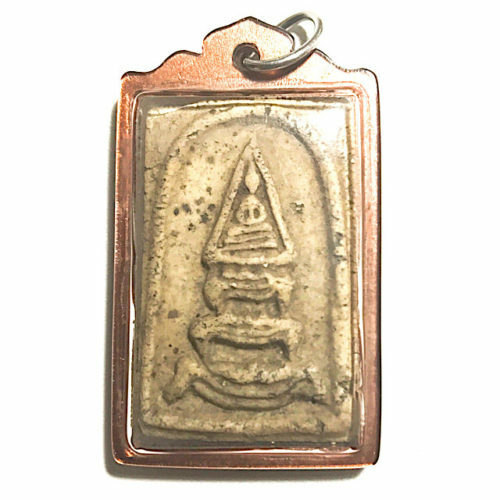 Some amulets are artistically designed, others are crudely fashioned and focuses solely on the power of their ingredients and the incantations which are invoked within them. 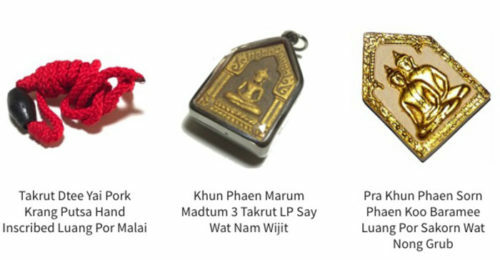 Buddhist amulets and votive tablets are known as ‘Pra’, or, ‘Pra Krueang’. 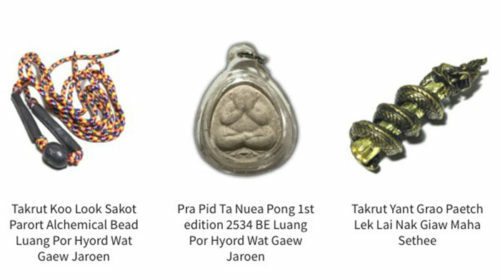 but many amulets are talismanic, or shamanic in nature, and these kind of amulets are known as ‘Krueang Rang’, not ‘Pra Krueang’. 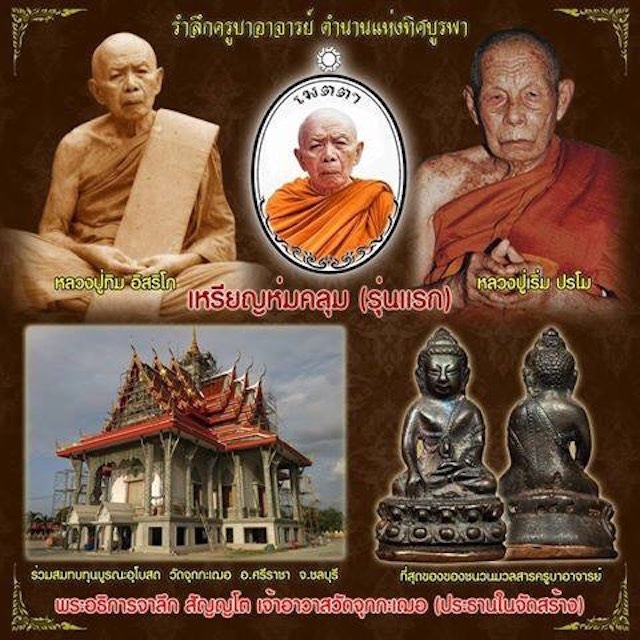 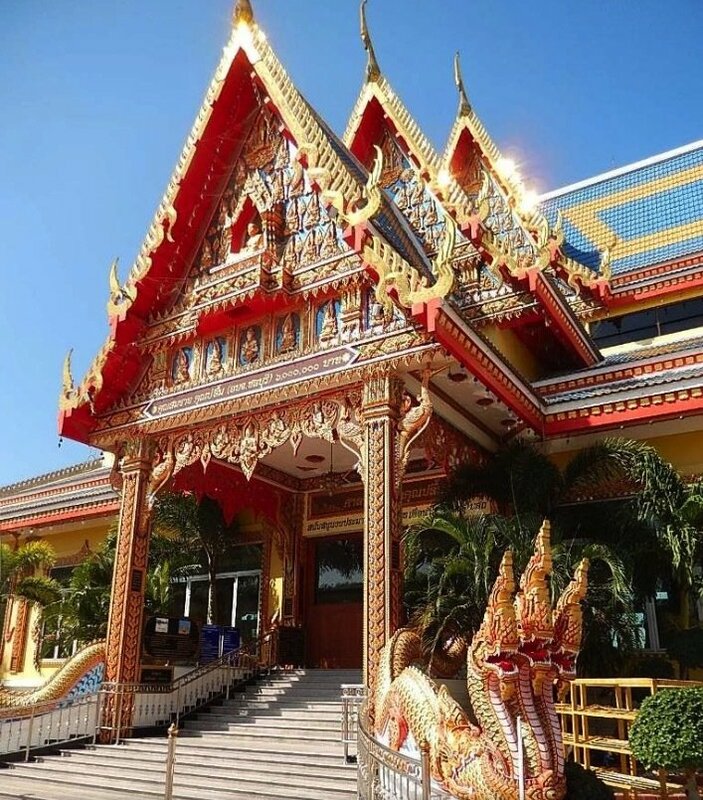 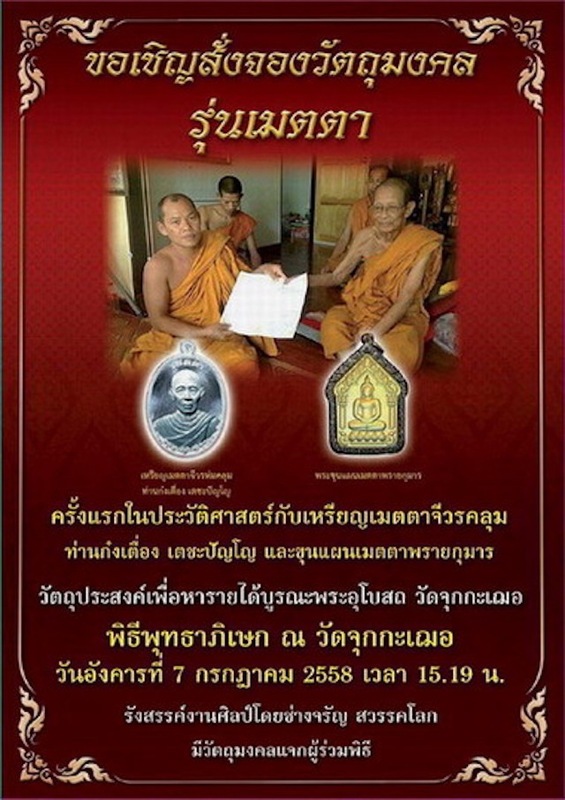 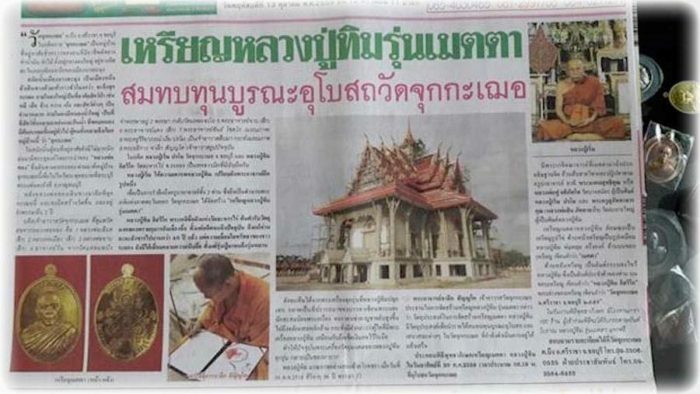 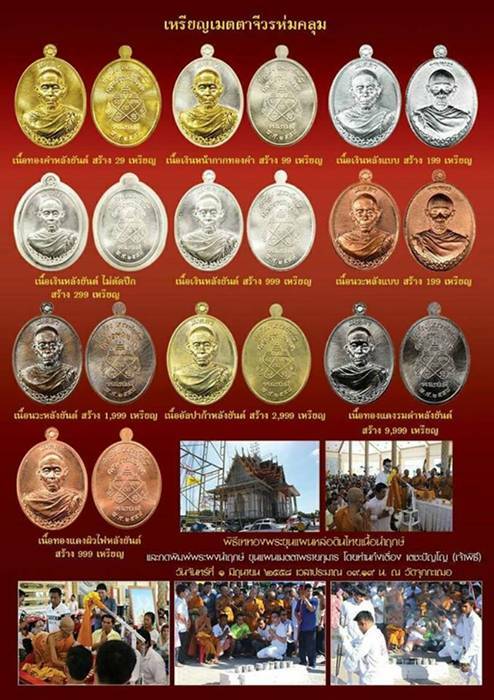 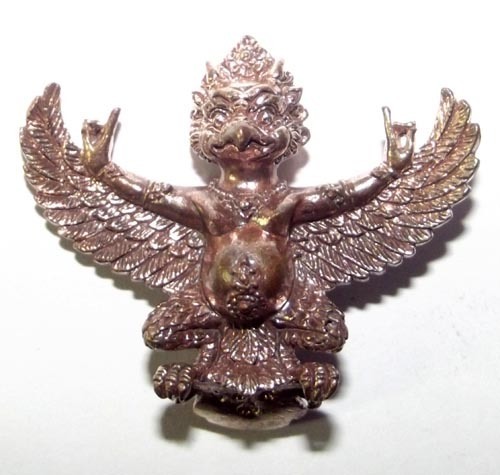 There are grand distinctions in the rules iof worship and reverence for each category of Thai Buddhist and Occult Amulet, which would be too muchg to cover in one single documentary. 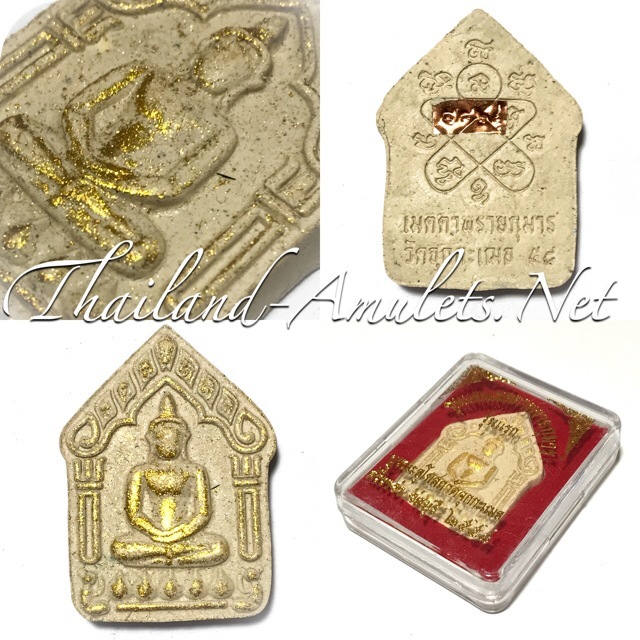 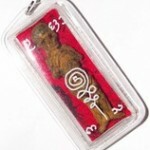 Don’t forget you can also view all our other videos on the Thailand Amulets YouTube Channel! 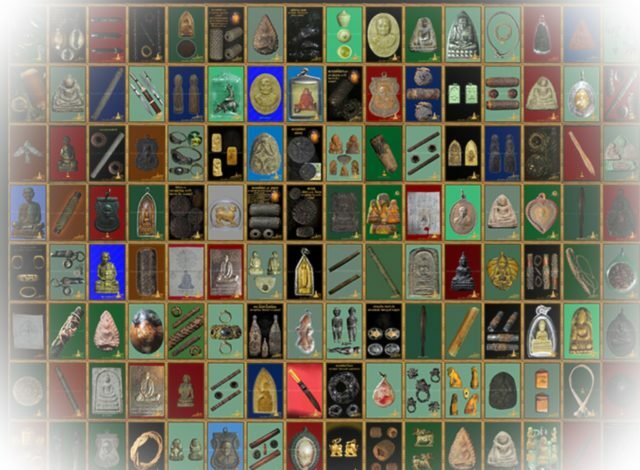 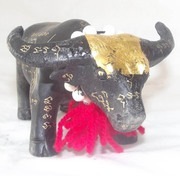 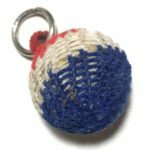 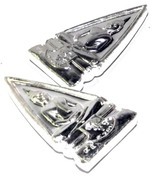 For serious collectors of the Pra Niyom Master Class Category Amulets, from the Great Buddhist Masters of Olden Days, please visit our other site; Ancient Amulet. 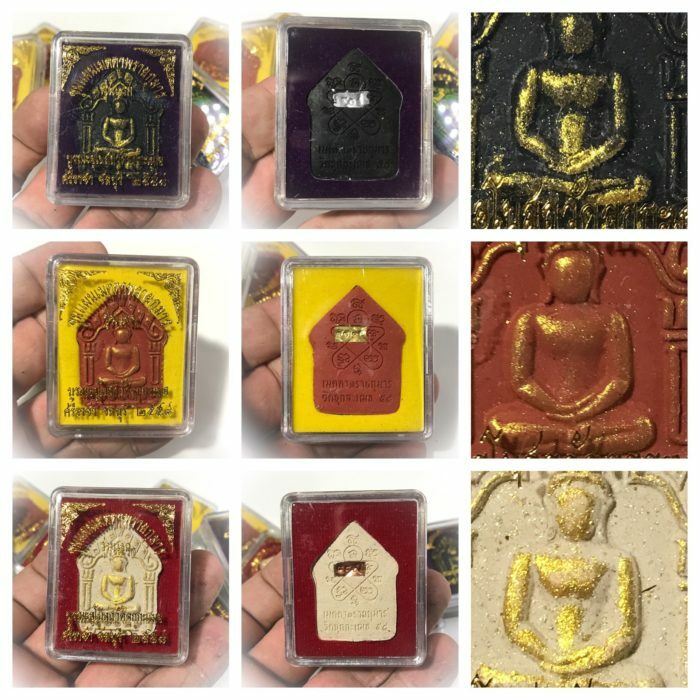 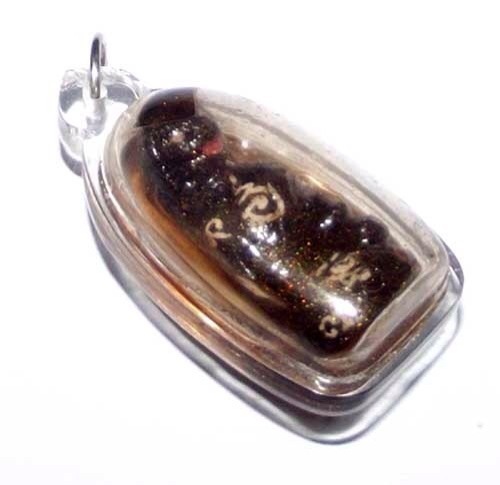 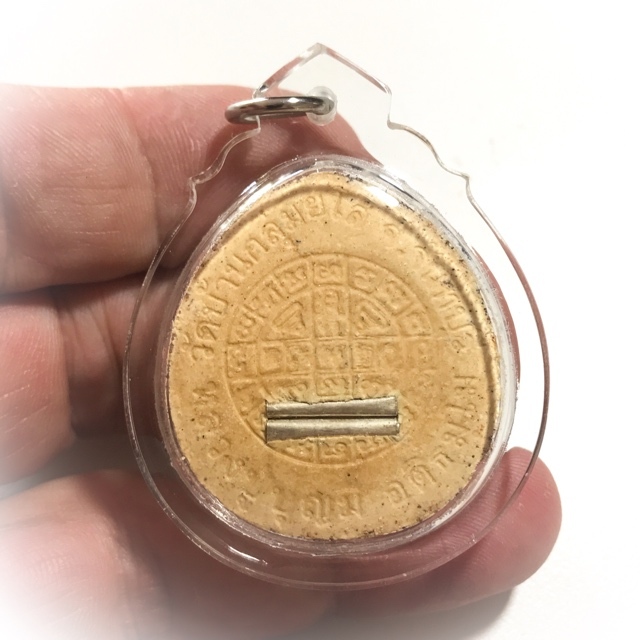 A large variety of small numbers of very exclusive, sacred, and high-grade Sacred Amulets are now available in the sister store, coming from guru Master Pra Ajarn Supasit. 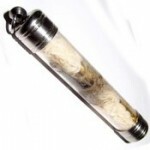 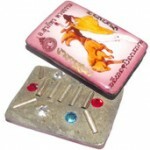 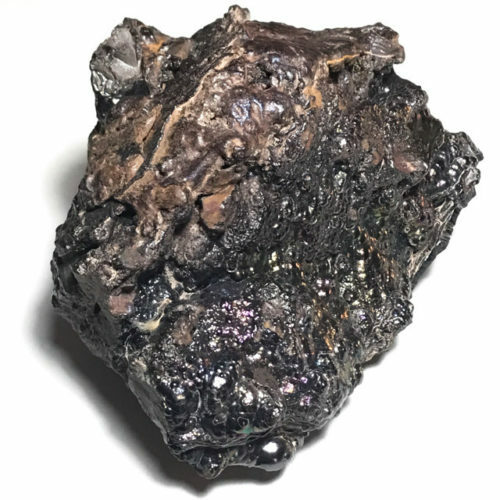 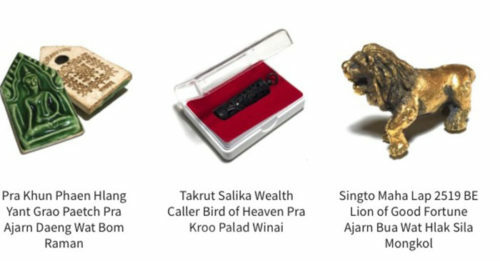 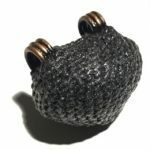 amongst other types of amulets, the range includes; A number of different models of Kumarn Tong, it from sacred wood, metals and necromantic powders. 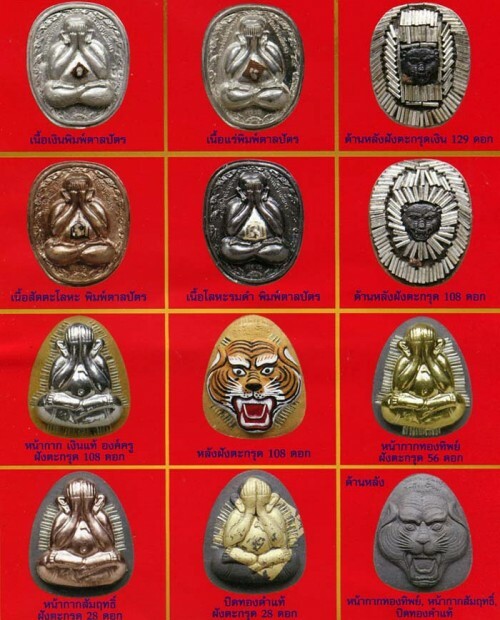 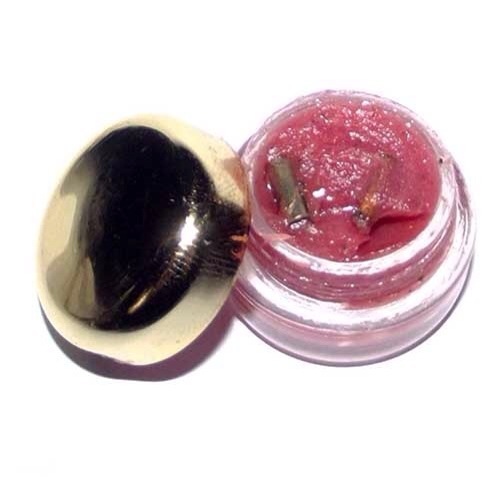 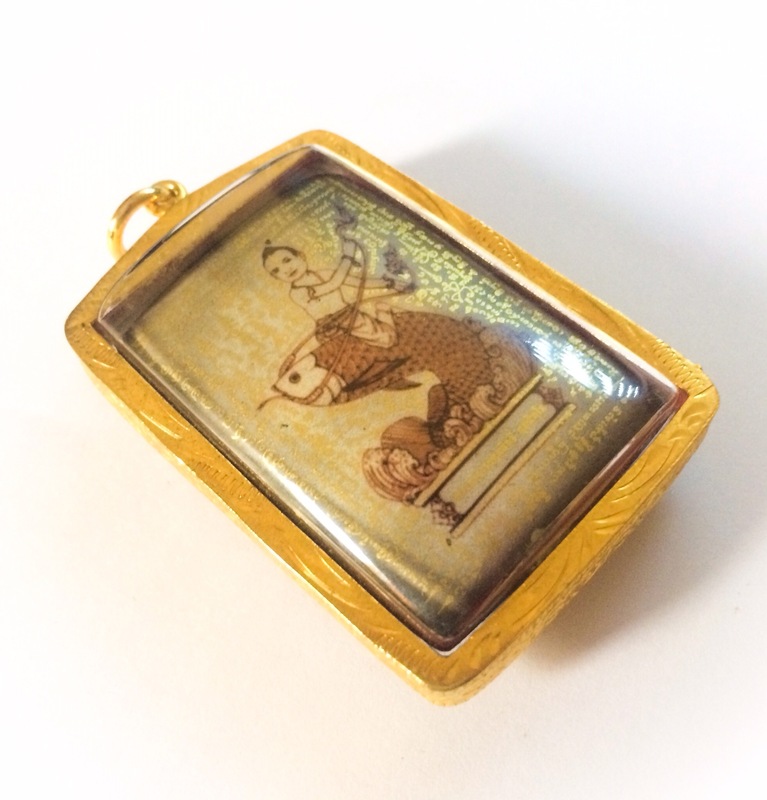 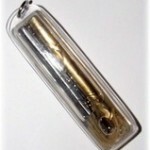 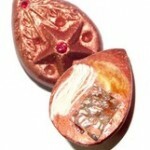 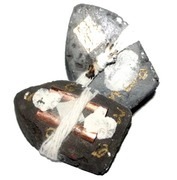 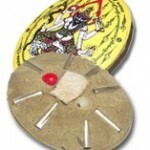 Some lockets were also made with the image and the bond powders of Kumarn Tong were made. 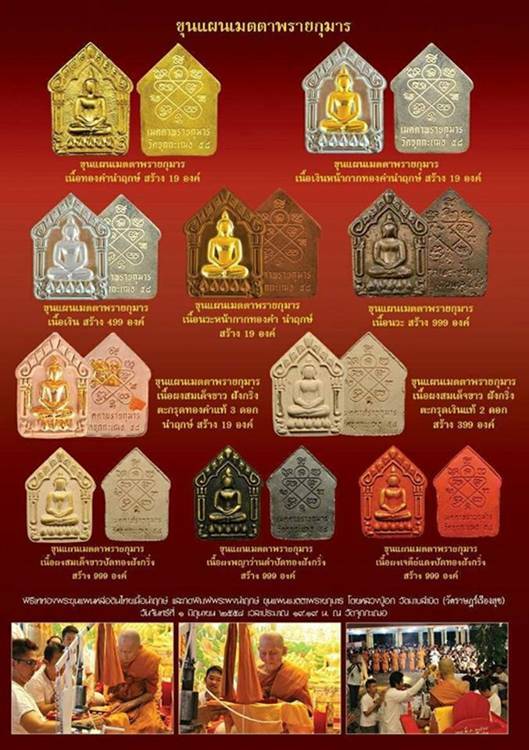 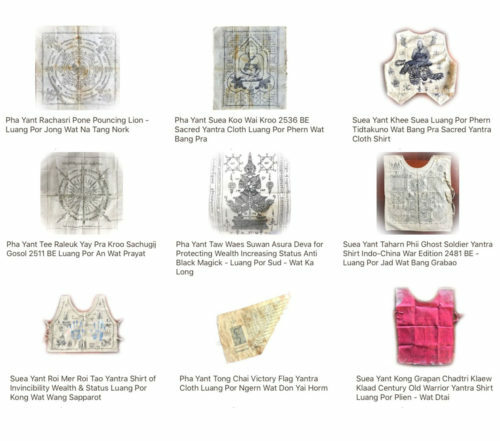 A variety of metallic Loi Ongk Hun Payont ghost soldier effigies also released with different substances embedded within them. 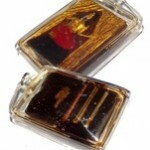 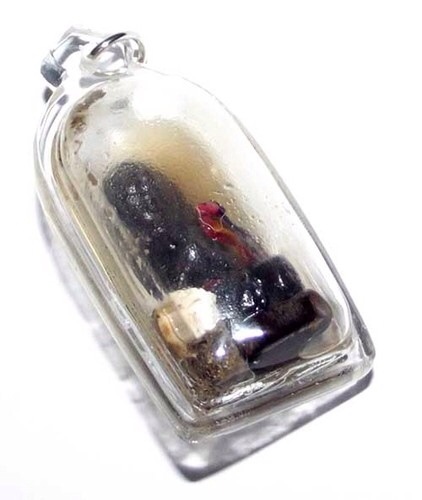 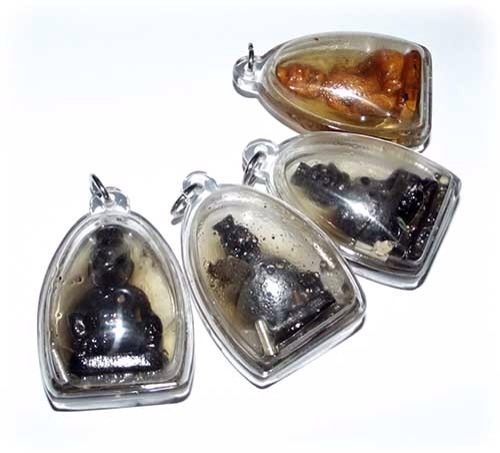 Some amulets, were encased in waterproof casing, and immersed in sacred necromantic Nam Man Prai oils. 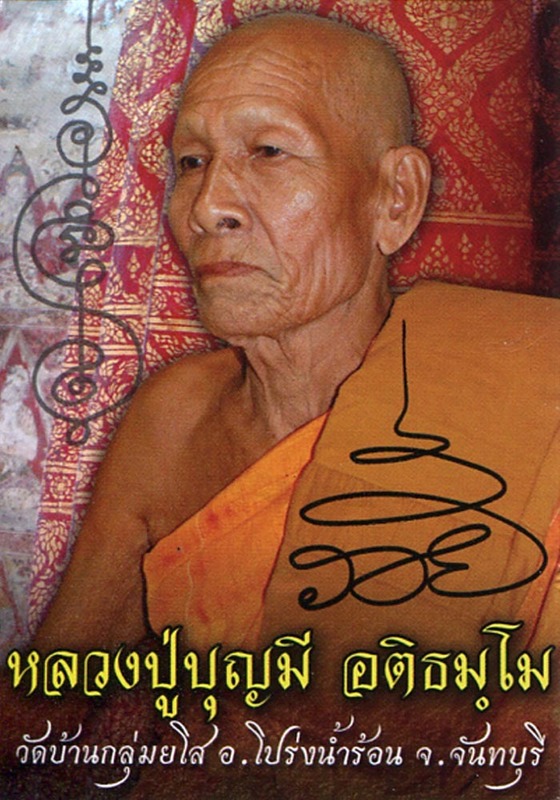 In some cases, the very rare and extremely powerful necromantic ‘Pong Sanaeh Ya Faed’ powder, was introduced into the sacred Nam Man Prai oils. 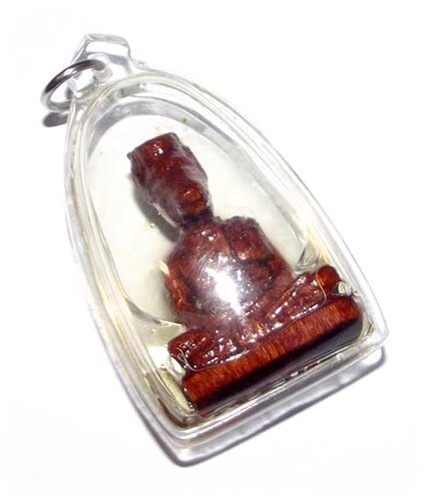 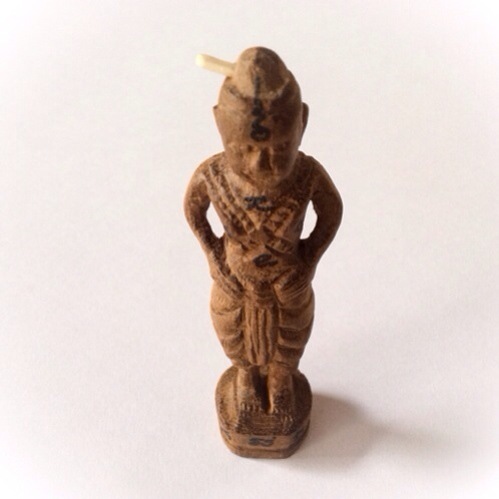 A small but very special series of hand carved wooden Lersi Hermit God amulets were also released, both in dry form, and encased in an immersion of Nam Man Prai. 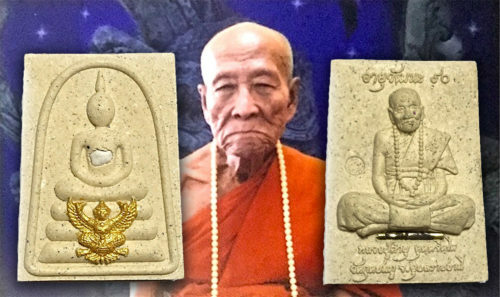 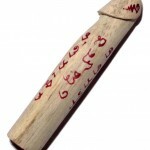 A few hand carved wooden, and sacred powder Necromantic female Mae Nang Prai Deva amulets and lockets were also released in extremely limited edition. 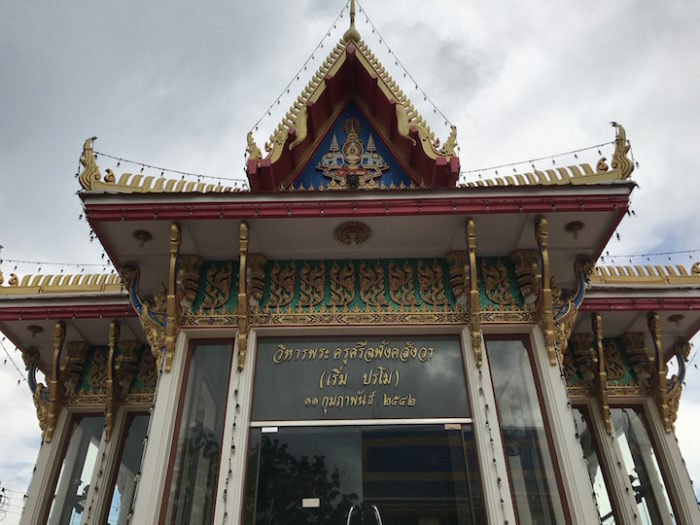 Some sacred red Nam Man Prai Paya Wan Gai Daeng oil potion was also made through empowerment whilst boiling within the sacred cauldron, being stirred with a sacred wooden paddle, which was inscribed with ancient Khmer magical spells. 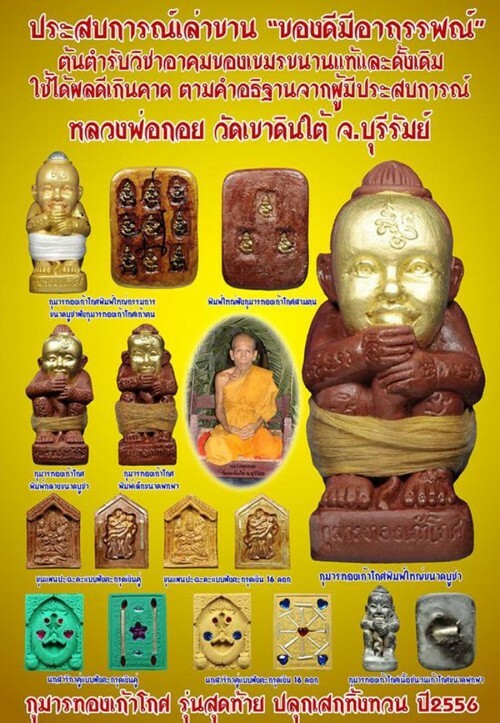 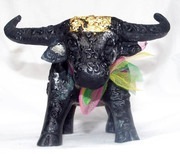 Some special Kumarn Tong altar statues were also released in very small numbers. 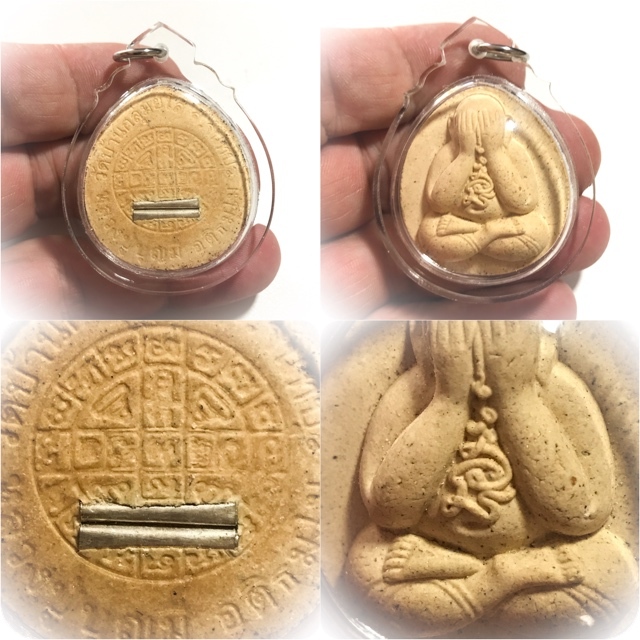 sacred gecko charms in various sacred and precious metals were also made in extremely small limited numbers. 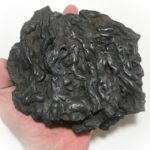 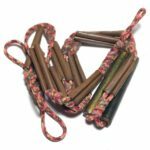 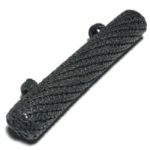 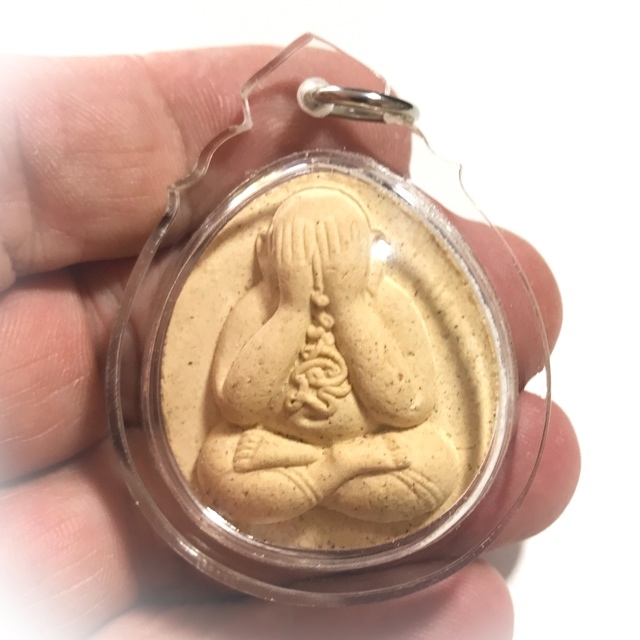 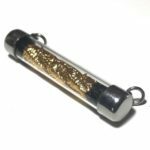 Many People feel at a Loss when they do not Know the correct Kata or Prayers to use for their Amulets, which is a frustration that is actually Unnecessary to Suffer. 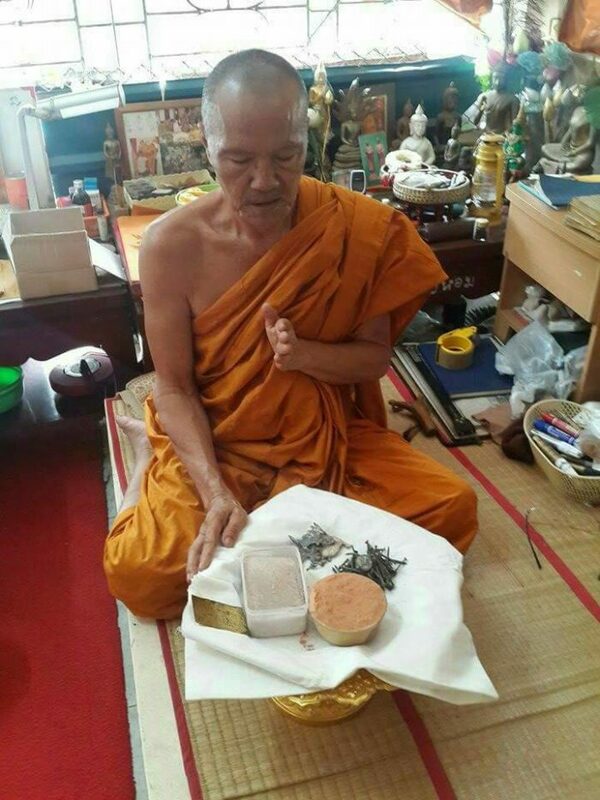 When we understand about how to apply the correct attitude and understanding to how we pray, or Chant Kata, we will then be able to understand with flexibility and see the various Options which are available in how to Pray and Perform Bucha offerings to Images and Amulets. 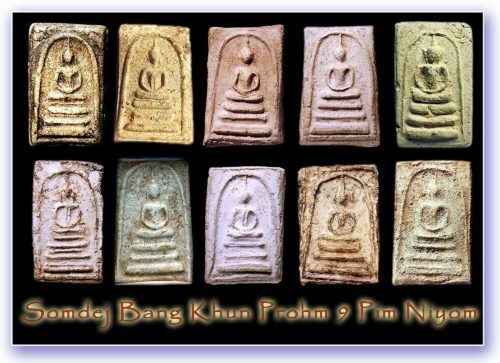 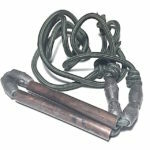 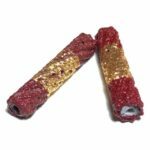 Metta and Prai Oils are often delivered without much Instructions, for which this Article will be useful in assisting those who have obtained oils or Buddhist Amulets which have no specific Kata or Bucha method explained. 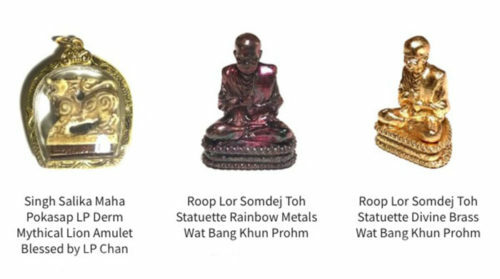 In Truth, with All Buddhist Amulets and Icons, Kaya Siddhi Elements, and Metta Oils, you can Use any Buddhist Pali Kata or Prayers for receiving various types of Blessings, Using Prayers and Suttas to chant, each of which delivers various Blessings. 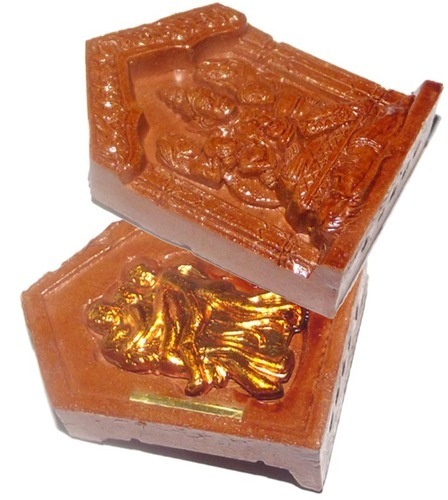 For example, the Aadtaanadtiya Paritta prevents all types of Illnesses and Virus, and keeps Demons away, and Protects against Black magic. 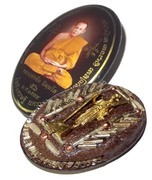 The Karaniya Metta Sutta brings Maha Sanaeh. 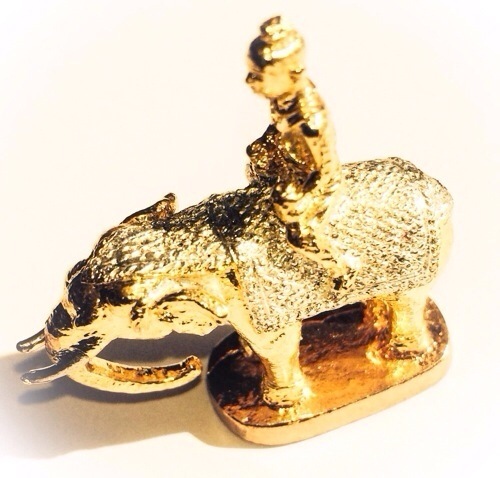 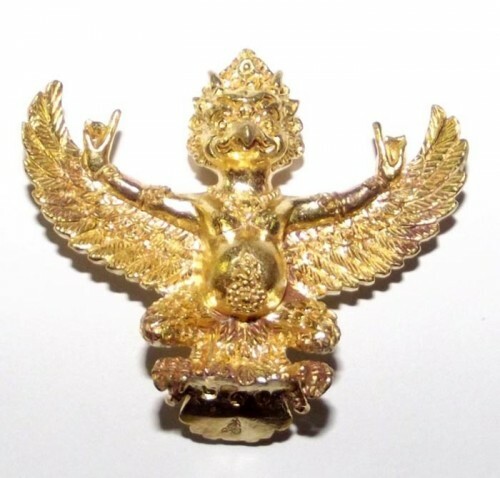 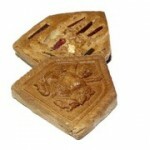 The Buddha Jaya Mangkala Kata brings Victory, Success and Protection, and so on. 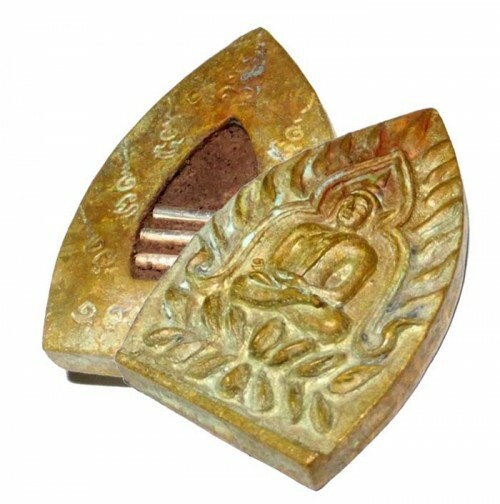 The Magical benefits and Blessings recieved from Buddhist Chanting is always related to the Nature of the Meaning of the Sutta or Prayer in question. 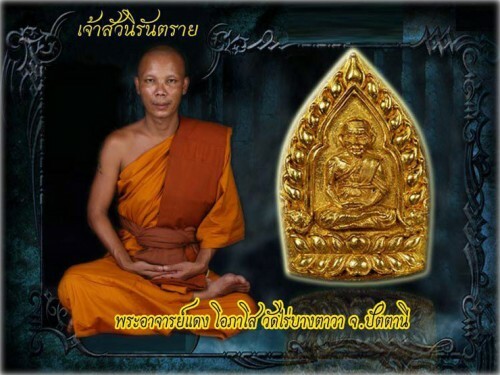 This is the true meaning of how Buddhakun (Buddha Magic Power) works its Miracles. 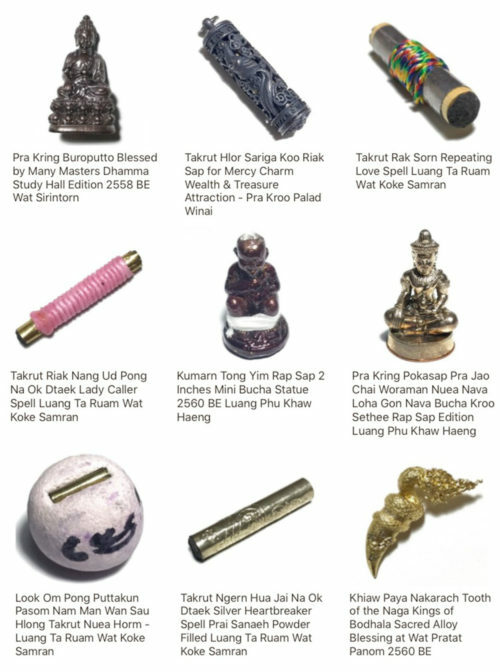 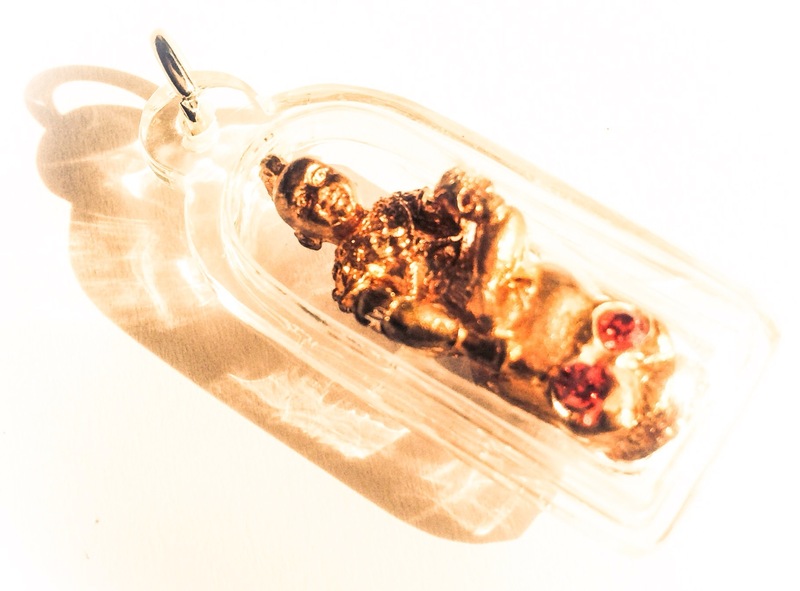 If you wish to use auspicious Buddhakun Type Magic with Buddhist Amulets, Buddha Images, Metta Oils, and Kaya Siddhi Elements (Lek Lai), and Buddha Relics, then you should understand that Accumulation of Merit brings Luck, Safety, Fortune, Health and other blessings. 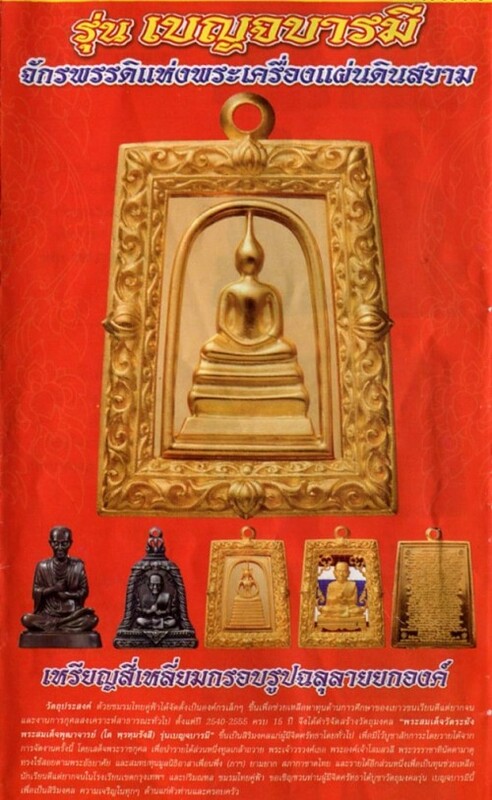 Apart from Material Blessings, Merit of course opens the roads to enter the Celestial Heavenly Realms, where one can only be reborn as a Human or Deva, or Buddha. 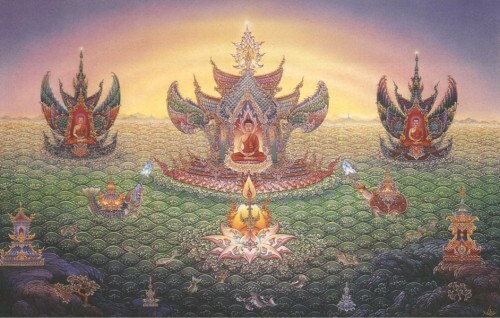 Attainment of Sufficient Purity of Heart empowers Access to the Celestial heavens (Pure Realms), avoiding Rebirth as an Animal, a Hungry Ghost, an Asura Monster, or in the lower Regions of Hell). Bhavana means to Apply the practice of Mindfulness and Samadhi (Meditation) and Renunciation, in order to notice the causes of Suffering, and to remove them from the Heart, thus removing the Causes of Rebirth in Unsatisfactory States. 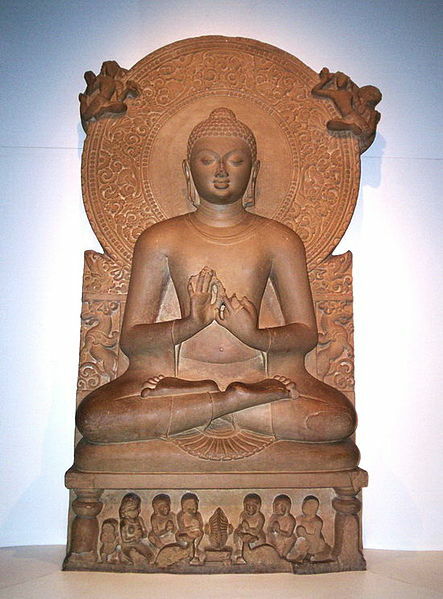 The Lord Buddha Taught that it is the third method of practice, which is the Supreme Method. 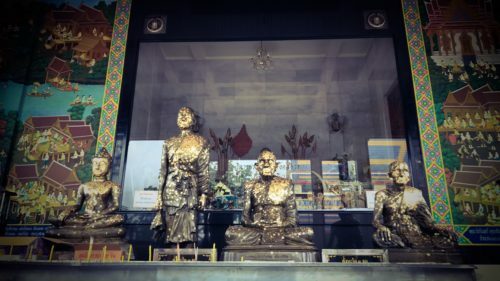 So when we Chant the Kata, if we use a Buddhist prayer or Dhamma teaching (Sutta) as the Kata we chant, and make sure we have chosen one which we have studied and understood the meaning, and know how to chant well, so that we feel the meaning and are inspired and have rapture in our recognition of the truth contained in the teaching/Kata. 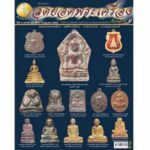 If we apply Our Self to this properly, we will attain true results from the chanting with the amulet as an object of focus and empowerment. 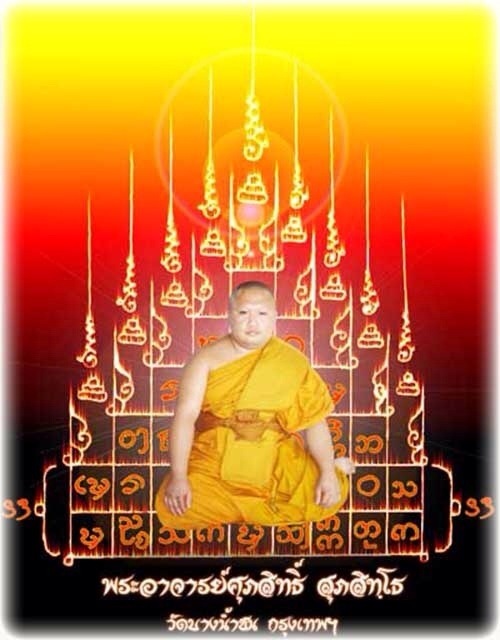 Results both in terms of Inner Transformation (Purification and realization of the Buddha Dhamma), as well as in terms of increased Luck and Prosperity. 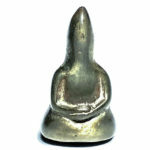 When we begin the path of self purification of negative thought and feelings which arise from those thoughts, we begin to emit an aura of attractive Metta, for indeed, when the heart begins to emit the light of compassion and peace, then both your Aura, and the Metta Buddhakun power within the oils or amulets, will emit their Light, and become fused in the same Spiritual Mission. 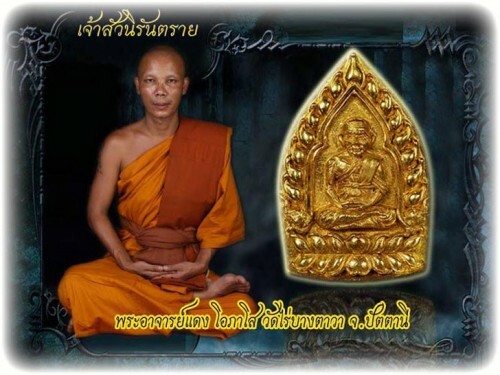 The Self Transformation which occurs, when we contemplate the Buddha Dhamma and make exertions and efforts to transform our inner self, is the highest blessing, and the cause of true Metta Mahaniyom and Maha Sanaeh Attraction Magic, and also the Source of Peace and Happiness”. 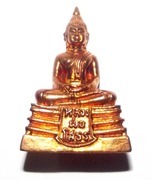 This Practice of Mindfulness and effort to Elevate oneself to a Liberated State, is what Lord Buddha Taught is the Supreme Practice of All. 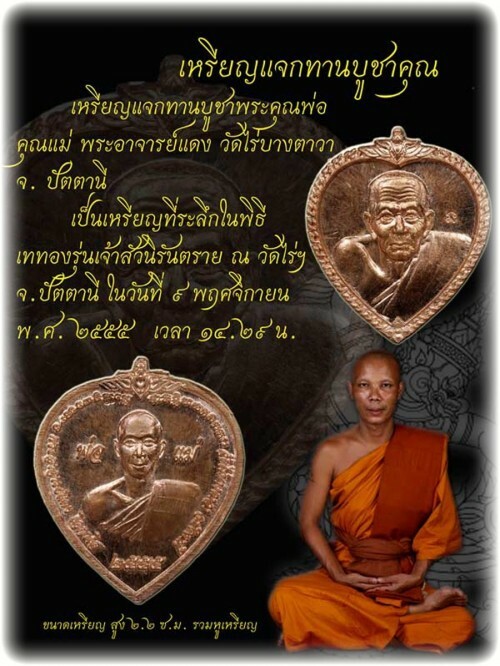 and the Greatest Way to Attain Worthful accumulation of Merit. 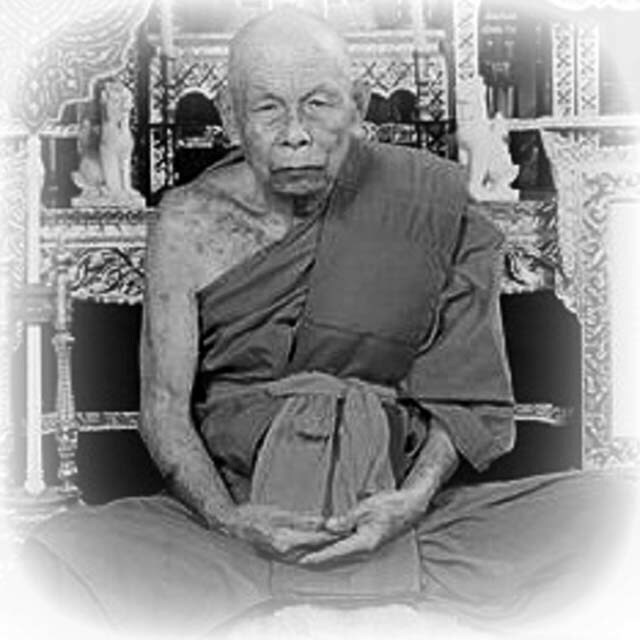 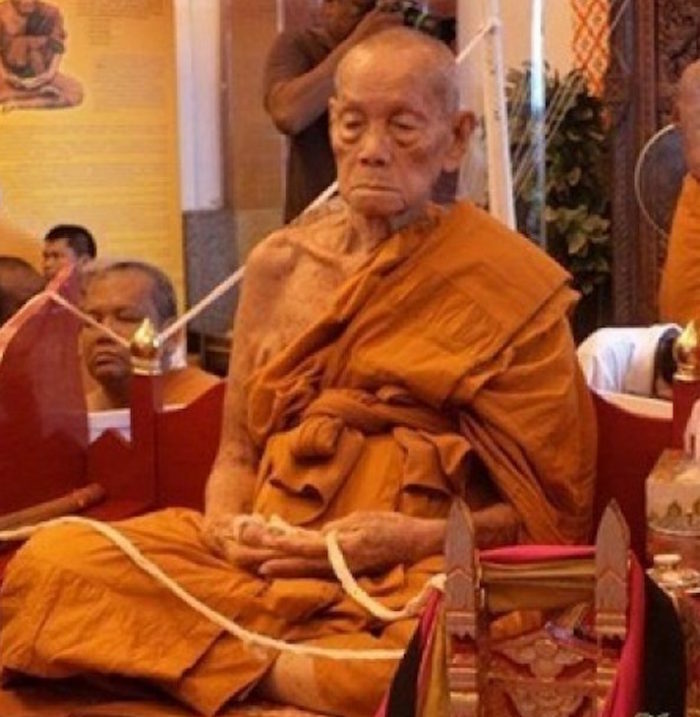 “Such Merit is the Kind which attracts Victory, in Both Worldly and Material Goals, as well as Unworldly and Spiritual Goals – Strive to Accumulate Merits, and Chant the Prayers which assist you to realize the Dhamma, and whose Truth Induces Faith and Rapture when listened to, and you will Certainly receive those Blessings which never came before, when you Pray and Practice as you Never Prayed or Practiced Before”.